The Saint that inspires the Pope! Here's the original, untainted biography of the Man of the Poor who inspires the Holy Father Francis I. + Glossary of Traditional Catholic terms Plus “Miracles after His Death” & The Prayers of St Francis! "And those words came to me: the poor, the poor. 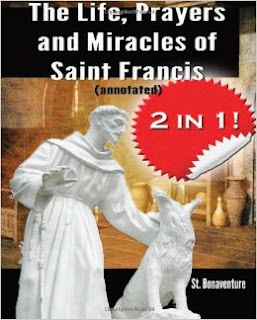 Then, right away, thinking of the poor, I thought of Francis of Assisi. Then I thought of all the wars, as the votes were still being counted, till the end. Francis is also the man of peace. That is how the name came into my heart: Francis of Assisi."